"Choose a bird and design a house for it." When deciding which bird to design a home for I wanted to focus on areas that are often overlooked when thinking of birds, large cities. House Sparrows are one of the most common city birds. This is an accommodating area for many birds because it is easy for them to find food and build their homes off of existing structures. Another trait that attracted me to House Sparrows is their habit to live in communities. This offered an exciting design challenge, housing more birds in a small space. When researching existing bird houses, I was drawn to organic forms, geometric forms, recyclability, and unique mounting techniques. 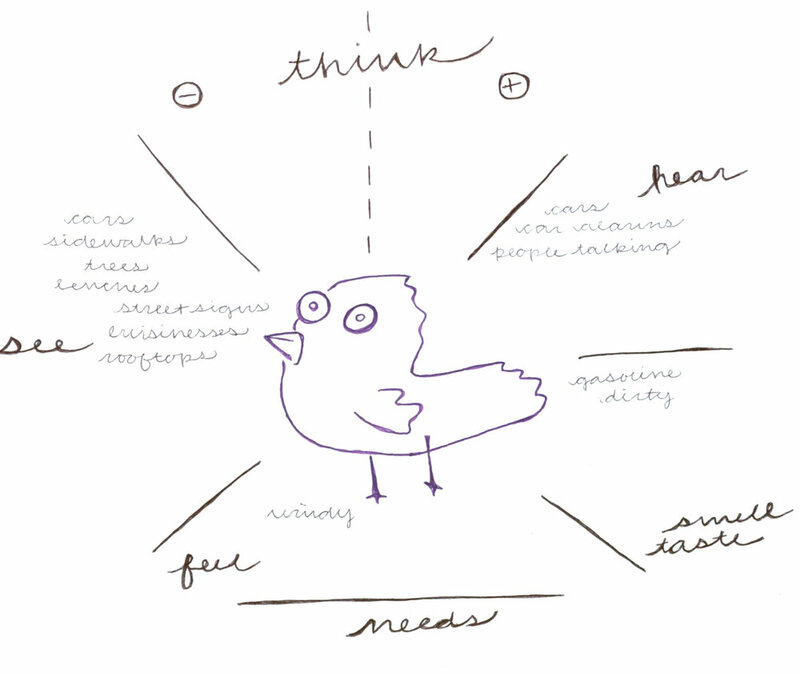 These are the traits that I strove for when beginning the ideation process. After reflecting on my sketches and my overall goal I realized that I should be focusing on modularity. This concept would take better advantage of the small urban spaces, while still accommodating the large communities of Sparrows. My final design satisfies all of my requirements for House Sparrows. I chose to use wood as my main material; this is because I think that nature is something that is missing in many urban communities today. My design elegantly accommodates communities of House Sparrows in urban spaces.